If you're looking for a great (and cheap!) hotel in Baltimore, CheapTickets is the best place to find them. We offer deals on the best 229 hotels throughout Baltimore. No matter what you're looking for, we have options for you. Grab great rates on the 91 affordable 3-star hotels that are easy on the wallet without sacrificing comfort. Looking for more luxury? Try one of the 16, 4-star hotel accommodations in Baltimore. No matter your budget needs, we've pulled out all the stops to make sure you have plenty of vacation options. Maybe you prefer to search for your hotel deals based on what each hotel offers? For example, let's say you just want to find a hotel or resort that has a pool to cool off in after a long day exploring Baltimore. Scroll down to choose from the 150 hotels in Baltimore that has a pool for guests. Or search for deals on Baltimore hotels offering free wifi or breakfast, non-smoking rooms, and more! CheapTickets is here to be your personal travel agent for your next trip to Baltimore. Get booking today! What hotels in Baltimore offer free wifi access? Are there deals on Baltimore hotels offering free breakfast? Yes! The only thing better than finding a great deal on a cheap hotel in Baltimore is finding one that offers free breakfast. Grab some eggs, a waffle, or some healthy oatmeal before a day full of exploring Baltimore and all that it has to offer. Below are just some of the many hotels that offer free breakfast in Baltimore. Holiday Inn Express & Suites Baltimore - BWI Airport North is a 2.50 star rated hotel property in Baltimore that offers free breakfast. 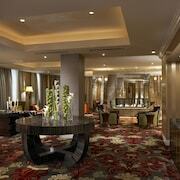 Hilton Baltimore is a 4.00 star rated hotel property in Baltimore that offers free breakfast. The Hotel at Arundel Preserve is a 3.50 star rated hotel property in Baltimore that offers free breakfast. Baltimore Plaza Inner Harbor is a 2.00 star rated hotel property in Baltimore that offers free breakfast. What about deals on pet-friendly hotels in Baltimore? Baltimore is a great place to get outside and explore with your pets in tow so don't leave your furry friends behind. Below you'll find great deals on hotels in Baltimore that allow pets. Don't forget to bring plenty of treats! Radisson Hotel Baltimore Downtown - Inner Harbor is a popular, pet-friendly, 3.50 star hotel in Baltimore. Hilton Baltimore BWI Airport is a popular, pet-friendly, 3.50 star hotel in Baltimore. 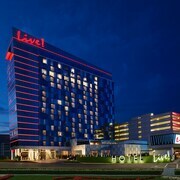 Red Roof PLUS+ Baltimore - Washington DC/BWI Airport is a popular, pet-friendly, 2.50 star hotel in Baltimore. Extended Stay America - Columbia - Columbia Corporate Park is a popular, pet-friendly, 2.50 star hotel in Baltimore. Any good rates on Baltimore hotels with restaurants? Absolutely. Don't want to deal with planning our all your meals on your trip to Baltimore? We don't blame you. Keep the hangry away by staying in one of the 66 hotels that have restaurants. With a room at one of these spots, all it takes to get a good meal is hopping in the elevator. Check out some of the most popular hotels in Baltimore that have restaurants below. Book Hilton Garden Inn BWI AirportHilton Garden Inn BWI Airport is a 3.00 star hotel and has one or more restaurant options. 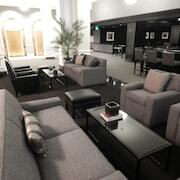 Book Sheraton Baltimore Washington Airport Hotel - BWISheraton Baltimore Washington Airport Hotel - BWI is a 3.50 star hotel and has one or more restaurant options. Book Embassy Suites by Hilton Baltimore at BWI AirportEmbassy Suites by Hilton Baltimore at BWI Airport is a 3.50 star hotel and has one or more restaurant options. Book Royal Sonesta Harbor Court BaltimoreRoyal Sonesta Harbor Court Baltimore is a 4.50 star hotel and has one or more restaurant options. What are the cheapest hotels in Baltimore with pools? What's better after a long day exploring Baltimore then a relaxing dip in a pool? Finding the Baltimore hotel you need for a bargain! Cool off and unwind at one of our 150 Baltimore hotels with a pool. Browse some of the top deals on these hotels and resorts with pools in Baltimore below, but be warned: You may not want to check out! Hyatt Place Baltimore/BWI Airport has a pool and a 3.00 star rating. DoubleTree Hotel Baltimore - BWI Airport has a pool and a 3.50 star rating. La Quinta Inn & Suites Baltimore BWI Airport has a pool and a 2.50 star rating. Homewood Suites by Hilton Baltimore Inner Harbor has a pool and a 3.00 star rating. What hotels in Baltimore offer parking for guests? Once you've made your way to Baltimore, the last thing you want to deal with is finding parking close to your hotel. Avoid the hassle of parking around the block and carrying your luggage all the way to the lobby by booking one of our hotels with parking. Check out deals on some of the 176 hotels in Baltimore that offer parking for guests. Days Inn by Wyndham Baltimore Inner Harbor This hotel has a 3.00-star rating. Holiday Inn Baltimore BWI Airport This hotel has a 3.00-star rating. Ramada by Wyndham BWI Airport/Arundel Mills This hotel has a 3.00-star rating. Element Arundel Mills BWI Airport This hotel has a 3.00-star rating. Do Baltimore hotels offer 24-hour concierge services? When you're on vacation, things don't always go according to plan. Travel with peace of mind when you book one of our 44 hotels in Baltimore with 24-hour concierge service. That way you know help is always phone call or elevator ride away. Try Comfort Inn & Suites BWI Airport. It's a 2.50 star rated hotel in Baltimore that offers concierge services 24 hours a day. Try The Brookshire Suites Inner Harbor- BW Premier Collection. It's a 3.00 star rated hotel in Baltimore that offers concierge services 24 hours a day. Try Holiday Inn Inner Harbor. It's a 3.00 star rated hotel in Baltimore that offers concierge services 24 hours a day. Try Lord Baltimore Hotel. It's a 3.50 star rated hotel in Baltimore that offers concierge services 24 hours a day. What about low rates on non-smoking hotels in Baltimore? Microtel Inn & Suites by Wyndham BWI Airport Baltimore This hotel has a 2.00-star rating. Extended Stay America - Columbia - Laurel - Ft. Meade This hotel has a 2.50-star rating. Red Roof Inn Washington DC - Laurel This hotel has a 2.00-star rating. Motel 6 Baltimore West This hotel has a 2.00-star rating. What are the cheapest Baltimore 3-star hotel deals? Our 3-star hotels bring you quality accommodations at a lower price point for the perfect, budget-friendly vacation in Baltimore. With 91 3-star hotels throughout Baltimore to choose from, you still have options. Browse our selection below. Lord Baltimore Hotel. Conveniently located in the heart of downtown Baltimore, this Art Deco hotel is 3 blocks from the National Aquarium and Hippodrome Theatre, and across from the Metro Station. Radisson Hotel Baltimore Downtown - Inner Harbor. Baltimore Harbor Hotel is a 10-minute walk from the Inner Harbor and Baltimore Convention Center. Attractions within a 10-minute walk of the hotel include Walters Art Museum and the Maryland Historical Society. Camden Yards is 12 minutes away on foot. Homewood Suites by Hilton Baltimore Inner Harbor. Located in Harbor East, this hotel is within a 10-minute walk of Baltimore Civil War Museum and National Aquarium in Baltimore. USS Constellation and American Visionary Art Museum are also within 2 mi (3 km). 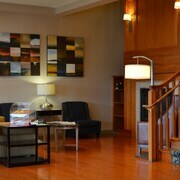 Best Western Plus Hotel & Conference Center. 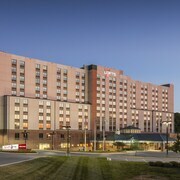 The Best Western Plus is located just off highway I-95 and 3.8 miles (6.1 km) from Baltimore's port and Cruise Terminal. Little Italy’s restaurants, cafés, and nightlife can be reached within a 20-minute drive, as can the National Aquarium and Maryland Science Center. What are the best deals on 4-Star Hotels in Baltimore? Baltimore is full of hotels and it can be hard to narrow down where you really want to stay. Luckily, we've done that hard work for you be narrowing you from 229 hotels throughout Baltimore, to the 16 4-star hotels in Baltimore. Our 4-star hotels in Baltimore are exactly what you need for your next family trip, romantic weekend, or solo getaway. Check out our most popular deals below. Hilton Baltimore: Hilton Baltimore is the ideal hotel for baseball fans, only 1 block from Oriole Park at Camden Yards. A 20-minute stroll takes guests to the waterfront, home to the USS Constellation and the National Aquarium. Other Baltimore attractions like Babe Ruth's Birthplace are even closer to the hotel. Royal Sonesta Harbor Court Baltimore: This hotel is across the street from the Inner Harbor, 4 blocks from the convention center, 3 blocks from Oriole Park at Camden Yards, and within a mile of the Walters Art Gallery. Hyatt Regency Baltimore Inner Harbor: Skywalks link this gleaming 14-story hotel to the Baltimore Convention Center on one side and the Inner Harbor on the other; all major attractions, including the National Aquarium and Oriole Park are within walking distance. Kimpton Hotel Monaco Baltimore Inner Harbor: Hotel Monaco Baltimore is within a 10-minute walk of Baltimore's famous Inner Harbor, and it's just a couple of minutes more to the National Aquarium. Oriole Park at Camden Yards is 12 minutes on foot from the hotel, while Horseshoe Casino Baltimore is a 10-minute drive away. What are the best activities to do in Baltimore? Small-Group Original Annapolis Seafood Crawl: Starting at just $59 per person. Small-Group Explore the Heart of Annapolis Tour: Starting at just $29 per person. Spirit of Baltimore Dinner Cruise: Starting at just $93 per person. Ripley's Believe It or Not! Odditorium: Starting at just $20 per person. Property was well kept. Friendly staff. Late check out for no aditional charge. I like everything in general. I love the breakfast, customer care service, location, safety, and people are very friendly. Staff were great and managed multiple demands while being apparently short staffed. Very nice to have a bag breakfast waiting on counter as I headed for the shuttle bus at 4am. Shuttle to airport very efficient and timely. Only complaint was a broken toilet seat. There wasn't anything to like about this property. It needs to be closed down and remodeled. Rust all inside the tub and behind the toilet. Furniture was torn and lighting was so dim it still looked dark with all the lights on. This hotel is gross, we stayed for 5 minutes and left. The room was so dirty and the "kitchenette" was taped and the cupboard door were nailed shut. We purchased this hotel as it had a good rating and breakfast. We took pictures it was so bad. And of course, I still had to pay for it. Buyer beware!!!! !